Is it your first time adopting cockatiel? If yes, you might get caught up in how to please your first cockatiel in order to make your first cockatiel to trust you. 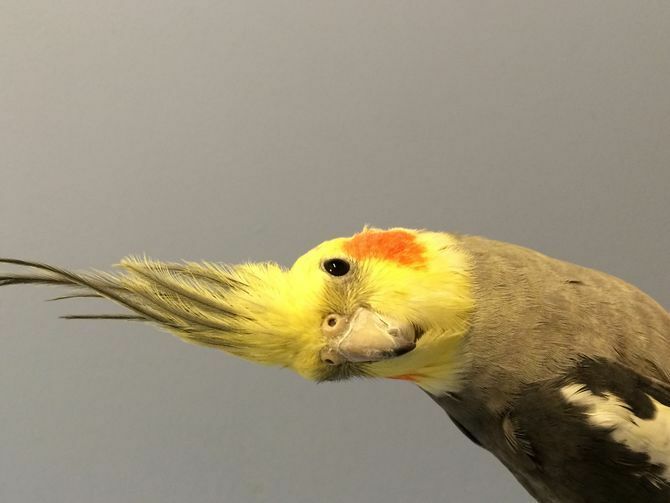 Moreover, first time adopting cockatiel means you have a lot to learn about things you should know about cockatiel and want to make sure both of you and your bird experience the best relationship between pet and master. If you are still unsure about how to make your first cockatiel happy, here are some tips that you can apply at home. Below are some tips to make your cockatiel happy at home. Your cockatiel will not be happy if you confine it in such small room. Hence, to make your cockatiel more comfortable and have more freedom is by preparing the right size of the cage. If the size of your cockatiel is big, provide cage that has three times the diameter of your cockatiel. This way, your cockatiel can move freely inside the cage. It is also normal to provide bigger and more solid cage if you want to keep multiple cockatiels your house and using one cage to put them all. Determining the size of the cage is important since it will be your cockatiel’s house. The first thing you need to do in order to ensure your cockatiel’s need is by providing feeding box inside cage. You can use small container to store food. Therefore, your cockatiel will not need to go outside the cage in order to eat. Moreover, you also do not need to coax your bird outside since you can just put food inside the feeding box whenever you have to be away. Do not make the box too large to provide space for your cockatiel. By providing this, your cockatiel can eat without having to cry for your assistance. Another way on how to make your first cockatiel happy is by providing toys in your cockatiel’s housing. Cockatiel is an active and sociable creature, it loves to play and interact with other birds and its master. Thus, provide toys in your cockatiel’s housing such as natural foliage and shredding toys. Natural foliage such as tree is a good toy for cockatiel to play around. Make sure to consult with veterinarian if you want to put natural foliage inside the cage since not all trees are safe for cockatiel. Some of the branches can hurt the bird or too spacey to put in the cage. Cockatiel is a bird that normally likes to fly and perch on something instead of staying on the ground. Thus, to make as natural environment as possible, install perches inside cage so the cockatiel will be able to fly and hop on the perches. By letting them doing what they usually do in natural setting, you will help them to be comfortable and happier in new setting. The perches usually are from tree branches. You can choose from natural tree or by buying artificial one in bird store. Choose perches with enough branches but not to many in which it can restrict your cockatiel’s movement instead. The right perches should be enough to make your cockatiel happy. Avoid a situation where it gets stressed and learn not to make it bite you. Even though cockatiel is a desert bird that does not need to take a bath too many times, it does love to clean itself once in a while. Therefore, install bathing option in the cage to let your cockatiel washes its body. Fill the bathing box with water every day and make sure the box is large enough for your cockatiel’s body. To avoid the spread of bacteria and infection, make sure to change the water every day or when the water starts to get dirty. Keeping dirty water inside the cage will also invite water microorganism that may infest themselves within your cockatiel’s body and causes illness. Comfortable housing is meaningless if your cockatiel does not get to eat proper food. One of the most important ways on how to make your first cockatiel happy is by feeding it with nutritious food. Food such as corn, millet, sunflower seeds, vegetables, and yam are good for your cockatiel. Avoid high fat seed since it will make the lifespan of your bird becomes shorter. Also feed your cockatiel regularly. Never once let your cockatiel starve because you forget to feed it. Therefore, make a schedule to give or put food in the feeding box that will let you remember. Feed them twice to three times a day for a healthy and happy cockatiel. Cockatiel relatively needs ten to twelve hours to sleep. Also, it does not like to sleep in noisy and bright place. Such setting will make them agitated and feel anxious that lead to lack of sleep. As you are the cockatiel’s owner, it is your responsibility to make sure that your cockatiel has enough sleep. Cover the cage if there is too much light in the room where you place your cockatiel. Otherwise, bring the cage to darker place when night time is approaching. This will ensure your cockatiel to have enough rest and has better mental state. The last but not the least step is to interact with your cockatiel. Talk with it, coax it to learn to fly to you, and praise it whenever it does something positive or impressive. By doing so, you are erasing your status as stranger as your cockatiel starts to get attached to you. It will not even hesitate to demonstrate its singing ability once you were able to train your cockatiel to sing fluently. All of these tips above are simple to do. However, albeit of any pets, all you need is care, patience, as well as understanding in order to create mutual relationship with your pet.